New QMS Australia CEO John O’Neill talks future of outdoor, industry cooperation and gardening leave! 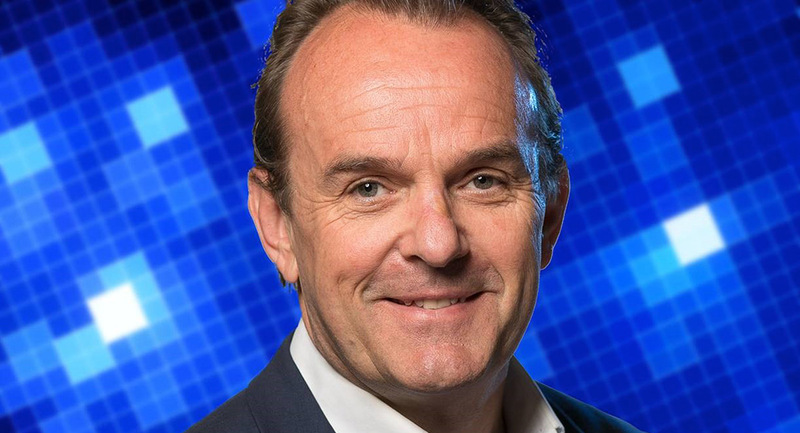 As part of a restructure unveiled in January this year, listed outdoor business QMS Media Group promoted John O’Neill from chief sales officer to QMS CEO Australia. The move was to allow QMS founder Barclay Nettlefold to focus on future growth of QMS, including international opportunities. O’Neill has worked in outdoor for over 20 years and he started in a business called NLD, which was run by David Nettlefold, Barclay’s father. The business had a national footprint of large-format static billboards. NLD grew substantially over the years, adding shopping centres and airports to its portfolio of assets. Network Ten eventually acquired NLD (see Gardening Leave below) and O’Neill moved on. He later started his own outdoor business called Media Puzzle. He quickly built a portfolio of attractive sites with part of the business being eventually acquired by WPP. Brendon Cook’s then-listed outdoor business Network agreed to acquire Media Puzzle from WPP (which owned 55%) and management (which owned the other 45%). That business became known as oOh!media. 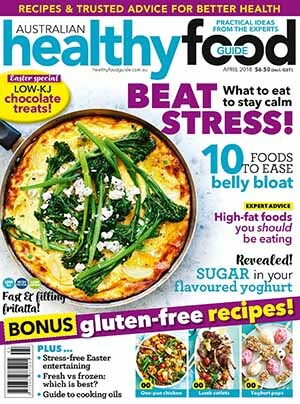 O’Neill told Mediaweek that after seven years, he and Brendon Cook “were going in different directions” and he decided to depart oOh!. After leaving oOh!media, John O’Neill stood aside from the outdoor sector for 18 months as part of a non-compete clause before diving right back in. 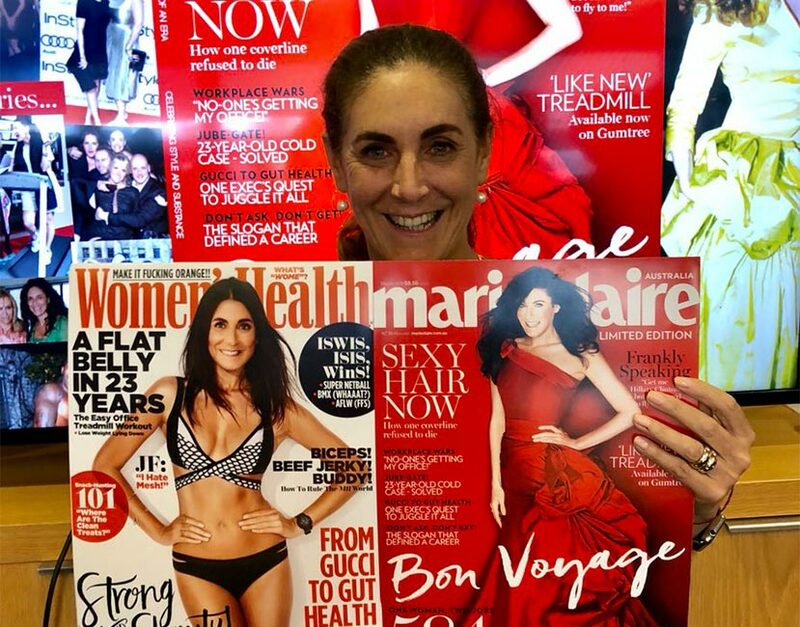 After the announcement only earlier this month that Jackie Frank would be departing Pacific Magazines, Frank was farewelled by friends and colleagues on Friday. For her last day on the Seven West Media payroll, Frank arrived at the Media City Pacific HQ around midday and spent time with her teams who remembered the highlights from her 23 years with the publisher. An accompanying letter from her peeps at Pac described Frank as everything from passionate publisher, TV titan, fierce fashionista to relentless networker, office screamer, public crier, amazing mentor and badass boss. Later in the afternoon there was a more formal send-off around 4pm with all the teams assembling from the magazines that Frank was general manager of – the titles that sit within the fashion, beauty and health division. There were quite a few tears as speakers includes marie claire’s Nicky Briger and Better Homes & Gardens’ Julia Zaetta as well as a few words too from Frank. The farewell then moved down the road to Fratelli Alexandria, which has seen a procession of farewells for Pacific staff. One of the biggest previously was last year’s farewell for departing CEO Peter Zavecz. 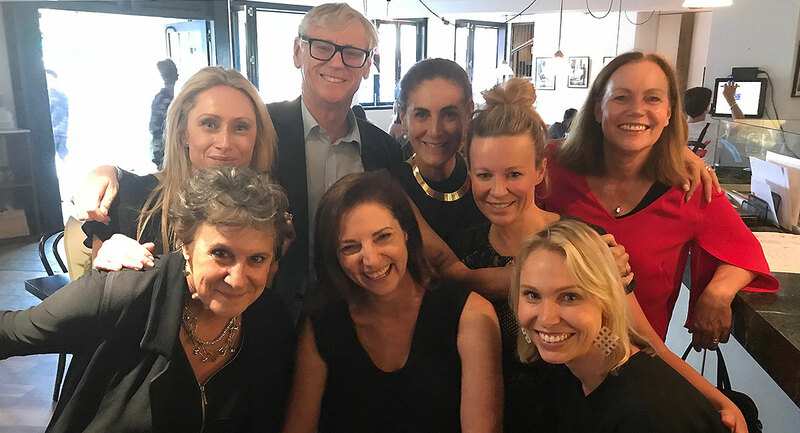 Guests at the farewell drinks (and accompanying Fratelli pizzas) included Franks’ husband Steve Rosanove, plus Pacific colleagues Julia Zaetta, Louisa Hatfield, Nicky Briger, Mychelle Vanderburg, Melissa Gaudron, Kirsten Rowlingson and Hannah Devereux. Pacific CFO Guy Torre made it back from a Seven West Media meeting day, as did Seven West Media commercial director Bruce McWilliam. Also attending was Seven’s Morning Show EP Sarah Stinson and very recently departed Seven crime show EP Mark Llewellyn, who rode his new electric bike to the bar from the eastern suburbs. Frank was presented with a massive bunch of flowers and a huge card. She broke her alcohol-free diet and downed a number of Espresso Martinis, which kept the bar staff busy. 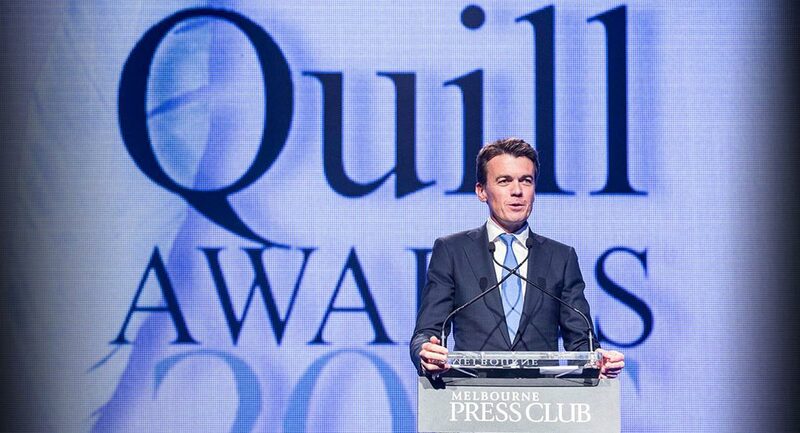 Robert Gottliebsen has been honoured with the Melbourne Press Club Lifetime Achievement Award for his contribution to business journalism in Australia at the 2017 Quill Awards ceremony held in Melbourne on Friday. In a tribute video, Melbourne Press Club president Adele Ferguson said “he totally transformed business journalism”. Gottliebsen started Business Review Weekly after writing The Australian Financial Review Chanticleer column from its inception. He was also a founding investor and commentator of the pioneering site Business Spectator. He is a former Graham Perkin Australian Journalist of the Year and inductee of the Australian Media Hall of Fame. 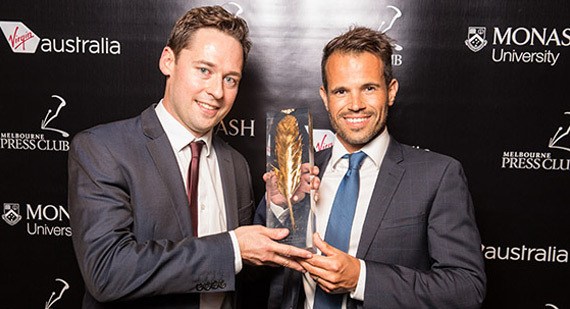 Will Swanton of The Australian was another major winner as he was named the 2017 Harry Gordon Australian Sports Journalist of the Year Award for his evocative sports writing. The judges praised Swanton’s knack for capturing the “emotions and atmosphere” of his subjects. “He has the ability to peel back the curtain and give us a backstage pass. He can look into a subject’s eyes and tell us what is there…” they said. Nick McKenzie and Richard Baker of The Age won Australia’s most coveted journalism prize, The Graham Perkin Australian Journalist of the Year, for an outstanding year breaking political scandals. 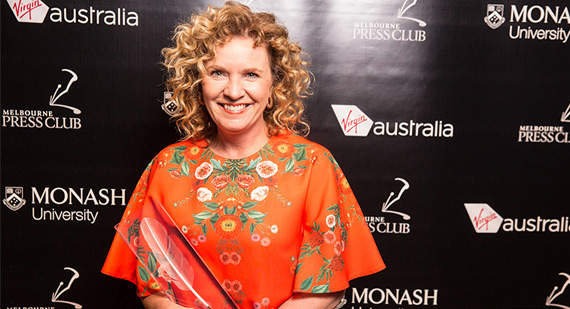 The award, for work in 2017, was presented at the Melbourne Press Club’s annual Quill Awards dinner in Melbourne on Friday March 16 2018. In a series of reports for The Age and ABC’s Four Corners, McKenzie and Baker unveiled growing Chinese influence over Australian politics, and spectacularly caught out Senator Sam Dastyari warning a Chinese donor that he was under surveillance, a scandal that ended his political career. McKenzie and Baker also broke the Lobster with a Mobster story in Victoria. The pair have dominated investigative journalism in Australia for more than a decade. McKenzie is also the most decorated journalist in the 23­year history of the Quill Awards, having won 24 awards including the Gold Quill twice. The Age Newsroom Team won the 2017 Breaking News Coverage Quill for its coverage of the Bourke Street attack. The courageous and tenacious work of the Fairfax Media/Four Corners team led by The Age’s Nick McKenzie revealed that the Chinese company that bought the Darwin Port had signed a secret $880,000 contract with former trade minister Andrew Robb beginning the day he quit parliament. The team also revealed that high-profile Labor Senator Sam Dastyari had tipped off a billionaire Chinese donor that he was under surveillance by intelligence agencies – and that the senator had contradicted his party’s and his country’s policies on the South China Sea, then lied about doing so. Dastyari had no choice but to resign. The ABC Trace Team won the 2017 Podcasting Quill for the series “Trace”. 3AW Programs & News won the 2017 Radio News Quill for coverage of the Bourke Street tragedy. Fox Sports and PlayersVoice.com.au have announced a strategic partnership, as the leading athlete-generated media platform also announces the completion of its Series A capital raising. The deal with Fox Sports will include wide-reaching integrations across Fox Sports’ suite of broadcast and digital products and channels. Both companies will work together on their shared vision to further close the gap between sports news and live sport by creating and disseminating premium content for fans, sportspeople and brands across all screens and devices. 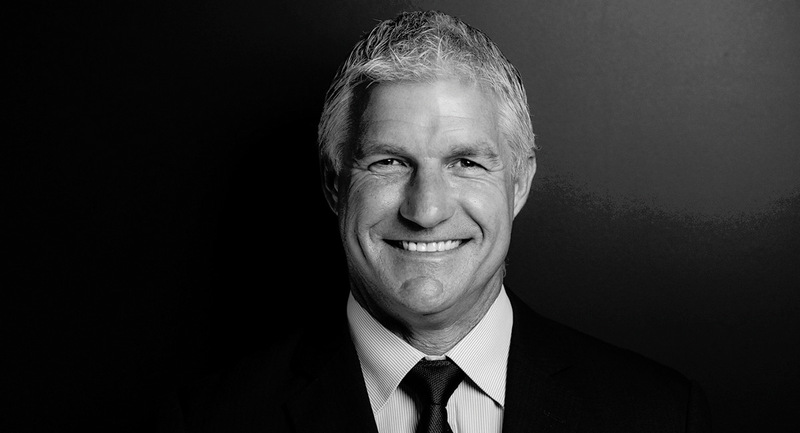 In addition to the alliance with Fox Sports and the commitment of a group of Australia’s leading sportspeople as founding shareholders, PlayersVoice has successfully attracted significant capital from returning investors, high net-worth individuals, media specialists and elite sportspeople, all buoyed by the platform’s early consumer and commercial inroads to become the premium athlete-generated media offering in Australia. Just six months after launch, PlayersVoice has claimed it had made a major impact on the sports media landscape, featuring rich and revealing video, written and podcast content from more than 230 elite sportspeople. That has amounted to an on-platform audience of over 1.8 million users, skewing significantly younger and more female than other digital sporting properties, with an average time per story of over six minutes and over 70 million social impressions. 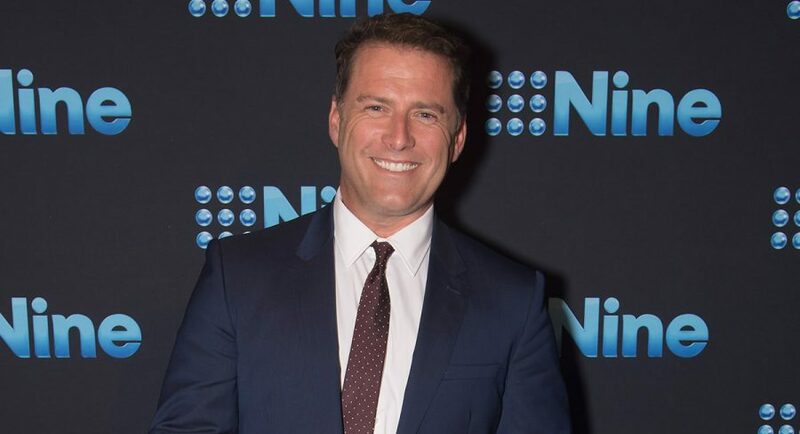 After all the media coverage of the past few days about the phone call between brothers Karl and Peter Stefanovic, the story about what they are supposed to have said was almost an anticlimax today. Nine did a great job on the weekend of defusing the impact of the phone call reveal by having both brothers apologise. Helping propel the yarn in the past week has been TV news guru Peter Ford, who this morning on The Kyle and Jackie O Show called the release of details regarding the phone conversation “a horrible invasion of privacy”. 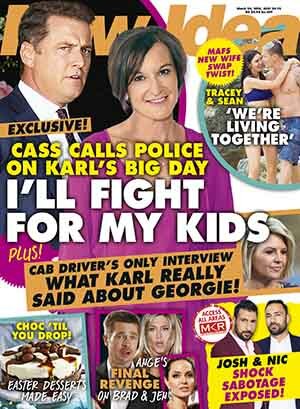 The release of the phone details fill part only of a story about “Karl’s Week From Hell” in New Idea today, and there is little in the story that hadn’t already found its way into the media. The Herald Sun’s Colin Vickery this morning called the story in New Idea “a damp squib”. There is no love lost between the Pacific title and Karl with the breakfast TV host and Nine threatening to sue the magazine in the past over some of its stories. Come on, Drake, give somebody else a chance, please. Seven weeks at #1 means as we zoom through the third month of the year only Drake and Ed Sheeran have topped the singles chart this year with two tunes. Not even a hint of a likely successor this week, part from Ed Sheeran! #47: “We Got Love” from Jessica Mauboy was the only new release to make the 50 although hopefully Eurovision viewers might warm to it a little quicker than music fans did here. Let’s hope it gets more support this week. #61 to #38: “Everyday” from Logic & Marshmello popped into the top 50 on second week of release. Ed Sheeran retains top spot again and again has all three albums top 10. 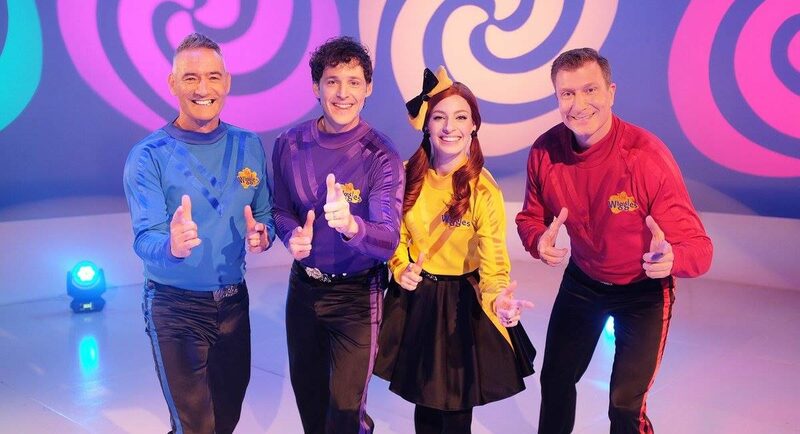 The Wiggles were the chart’s biggest mover, climbing from #68 to #3 in their second week with “Nursery Rhymes 2”. Unbelievably, it’s the group’s 50th album and, perhaps even more surprising, this is their first time in the top 10 according to ARIA. 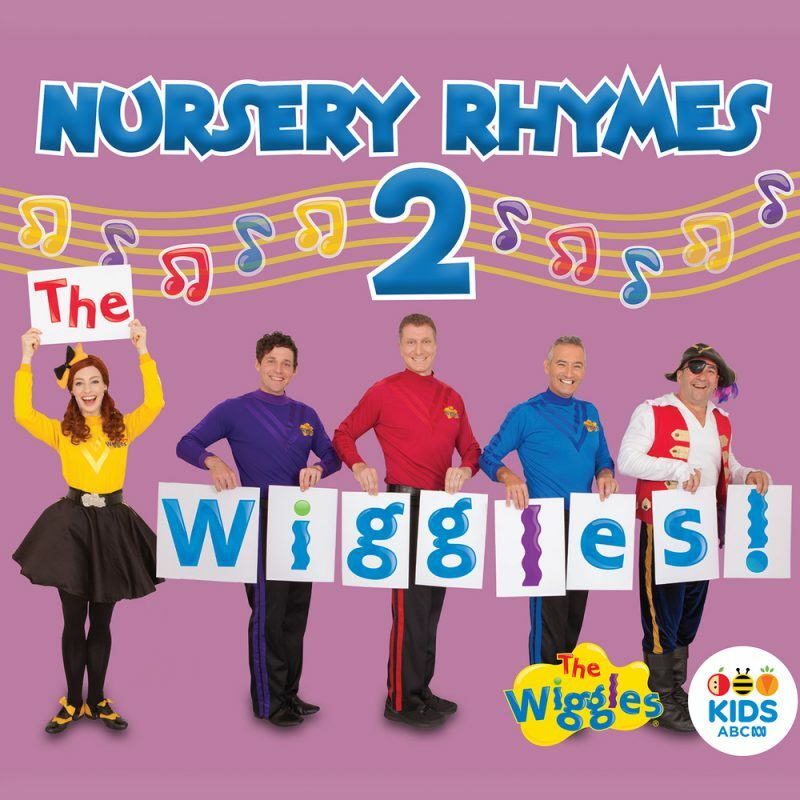 Their previous best was #15 for “Nursery Rhymes 1” back in February last year. The chart’s highest new entry is British singer Calum Scott with his first album “Only Human” landing at #5. A second new entry in the top 10 is Logic with the mixtape “Bobby Tarantino II”. This is Logic’s best album chart performance after the studio albums “The Incredible True Story” (#43 in 2015) and “Everybody” (#25 in 2017). #11: Ian Moss with “Ian Moss”: His seventh albums puts Moss back in the charts for first time since 2009. #12: Judas Priest with “Firepower”: The 18th album from the metal legends and the first since 2014. This is their highest album chart peak. #14: What So Not with “Not All The Beautiful Things”: First album from the electronic music project includes contributions from Daniel Johns. #20: Jimi Hendrix with “Both Sides Of The Sky”: Final album in a trilogy of unreleased material. #36: Lil Yachty with “Lil Boat 2”: US rapper’s second album. • “The best four nights you’ll ever see”: How did Nine’s claim hold up? • Why TEN still needs I’m A Celebrity…Get Me Out Of Here! Forget about the cooking between two My Kitchen Rules teams facing elimination, including cyclone Emily spinning out of control. There was a bigger storm at the table with the long-awaited clash between Sonya & Hadil and Suong. While the controversy was enough to secure 1m plus last night, the show continues to trail Married by a big margin and this morning the media coverage is all about Married. Sunday Night then did 608,000, which also trailed its Nine competitor. 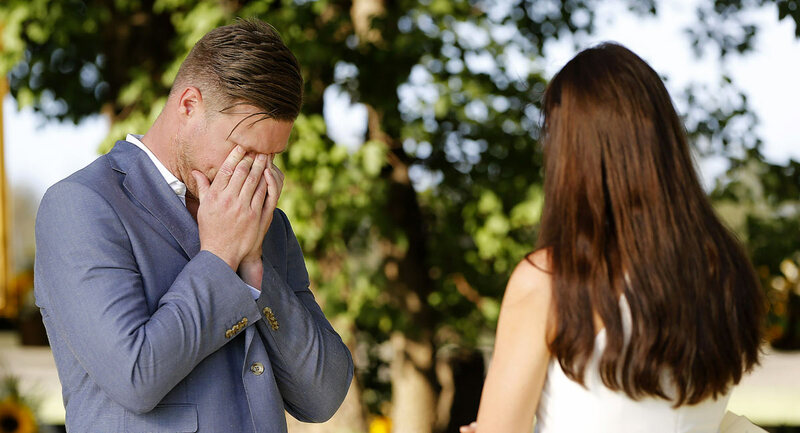 Married At First Sight with 1.44m was the place for the biggest Sunday audience again. Indications are that audiences and the army of media covering the program were more than happy with the Tracey dumping Dean storyline last night. Apart from the overnight and streaming audience records the show is setting this season, it is also pulling big consolidated numbers. Last Sunday’s episode added 111,000 viewers. 60 Minutes followed with 775,000, which gave it a good lead over Sunday Night. Stories included Ross Coulthard door-stopping New York-based Aussie editor Dylan Howard and asking him if he had been working on behalf of Harvey Weinstein. TEN’s Sunday share dropped dramatically and shows how much broadcasters these days rely on big reality formats. It’s just seven days until Bachelor In Paradise starts and it couldn’t come fast enough. TEN News at 5 and a new episode of NCIS shared the channel’s biggest audiences with 290,000 watching each program at different times of the night. The Sunday episode of The Project had a tough night with a new low of 250,000 after 7pm. It remains to be seen if previewing the cast of Bachelor In Paradise a week before launch was a good idea, but just 165,000 were watching All Star Family Feud featuring stars from The Bachelor franchise. Kevin McCloud was in South Hertfordshire on Grand Designs UK with 613,000 watching. The channel screened the final two episodes of Howards End with both episodes in the top 10 – one with an audience over 400,000 and the other just under. Episode seven of Eight Days That Made Rome looked at the day the Colosseum opened its turnstiles for the first time in AD80. The show did 153,000. Google will sell digital subscriptions to newspapers in its Play store for the first time as part of an effort to help publishers generate revenue from their journalism, reports The Australian’s Darren Davidson. The search giant is also preparing to share data that shows which internet users have a propensity to pay for online journalism, with an announcement expected tomorrow, sources said. Google’s Play store – where owners of smartphones powered by Google’s Android operating system get movies, games, apps, music and more – is offering publishers a 95% cut of the revenue if the publisher originates the subscriber from its own platform. Broadcasters need to remove transactional barriers to buying TV and do it fast, writes MCN’s Anthony Fitzgerald in The AFR. Every Australian TV network has now launched its own proprietary system to automate parts of the TV supply chain, from booking and scheduling to predictive audience systems and more refined audience segmentation. But already the advertising market’s response to this technology-led innovation is simply one of “more complexity”. Advertisers and media agencies today must juggle between three or four competing trading and audience platforms in varying degrees of sophistication through the broadcast system to reach their customers and prospects. 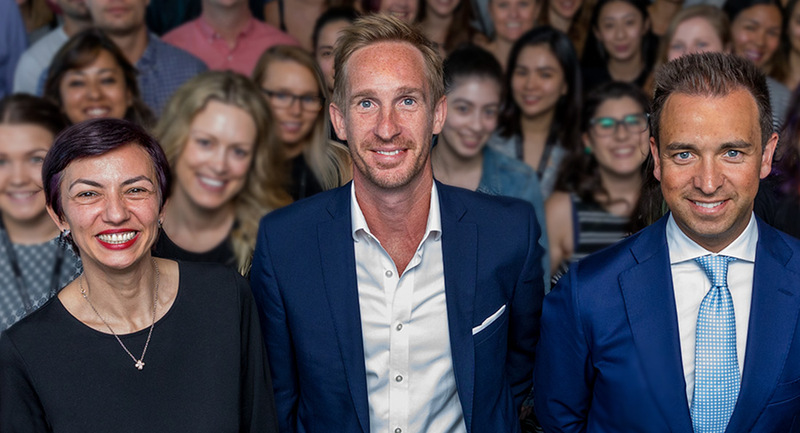 Dentsu Aegis Network is launching data-driven marketing agency Merkle in Australia to cope with rising demand from clients for big data and analytics solutions, reports The Australian’s Darren Davidson. 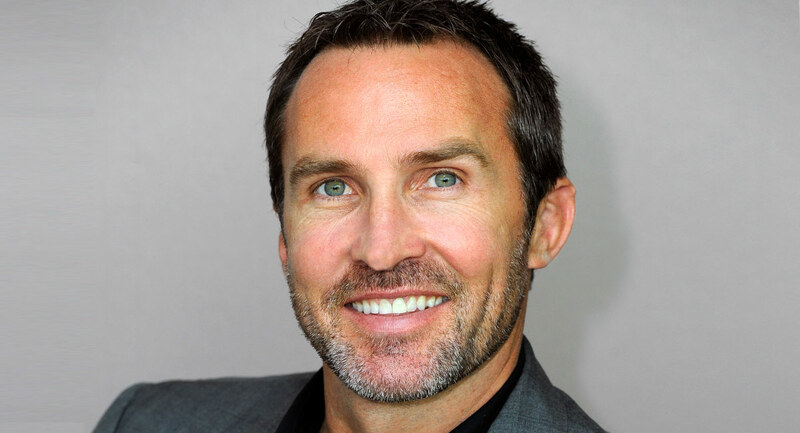 The deal is the latest effort from DAN Australia and New Zealand’s chief executive Simon Ryan in his bid to shake up the local ad industry. Ryan is merging Merkle with DAN’s search engine specialist agency Columbus as he seeks to reinvent DAN’s media agency holding company model by focusing on digital-first marketing services. Ryan said Columbus chief executive Rebecca Tos would continue to lead the business, with a managing director set to be appointed underneath her. Currently, Columbus employs about 120 staff, with plans to hire 70 staff by next year in a recruitment drive that signals how marketers are increasingly adopting data-driven decision making. Cartoon character Dora will explore Queensland this year after Premier Annastacia Palaszczuk struck a deal to ensure the film will be made on the Gold Coast, reports News Corp’s Steven Scott. But it has set off a political battle over the cost of wooing Hollywood studio Paramount to the state. The premier has refused to release how much the deal will cost taxpayers, saying it was commercial-in-confidence, but the figure is believed to be more than $4 million. The Queensland Government will draw from a $20 million film attraction fund and also dip into legacy funds designed to find new uses for Commonwealth Games venues to come up with the cash. But Palaszczuk blasted the Federal Government for failing to almost double a tax offset for film producers to 30% to help clinch the deal. More changes at Sky News, reports The Australian’s Stephen Brook. Rob Raschke, executive editor of Sky News Australia, has left the network. Chief executive Angelos Frangopoulos told staff in a note last week he had accepted Raschke’s resignation. Meanwhile, the network is giving Herald Sun columnist Rita Panahi a 4pm program titled The Friday Show. The Australian also reports on changes at Guardian Australia. Will Woodward, the site’s deputy editor for three years who is said to hold the whole show together, is heading back to Britain to rejoin the mother ship as head of sport, which sounds like his dream job. As is his wife, Claire Phipps, senior live blogger, who becomes digital editor. Another Brit, David Munk, international news editor for Asia­Pacific and already based in Sydney, is taking over as deputy in April. Nova Entertainment has announced the launch of GOAT, a new mobile-only product that has been quietly running since the start of the months before the announcement. GOAT.com.au is a pop culture, news and entertainment platform, only accessible via mobile browsers, that directly targets millennial consumers. Designed exclusively for mobile consumption, with a frank and uniquely Australian tone of voice, GOAT delivers snackable and engaging content across written, video, image and audio formats. It provides an informed, opinion-driven and engaging take on the day’s trending, entertainment and topical news. The mobile-only positioning has been developed in response to the Australian audience’s dramatic shift to mobile devices, with Deloitte research highlighting smartphone penetration approaching 95% for millennials. In response to the research, which also highlighted the changing sharing habits of this audience, a number of innovations were developed in GOAT’s design and unique interface. In the main navigation bar a new channel, called BLEATS, houses the ongoing production of GIF and image-based meme visual headline content, enhancing shareability and wider distribution. Nine Melbourne newsreader Jo Hall has been dropped as the host of the popular radio show Great Australian Lives following her drink-driving bust, reports News Corp’s Fiona Byrne. The program, produced by Crocmedia and heard on 3AW as well as available as a podcast, saw Hall interview significant Australians including Brendan Nottle, Sir Gustav Nossal, Sam Newman, Tina Arena, Shane Warne and Ben Roberts-Smith. 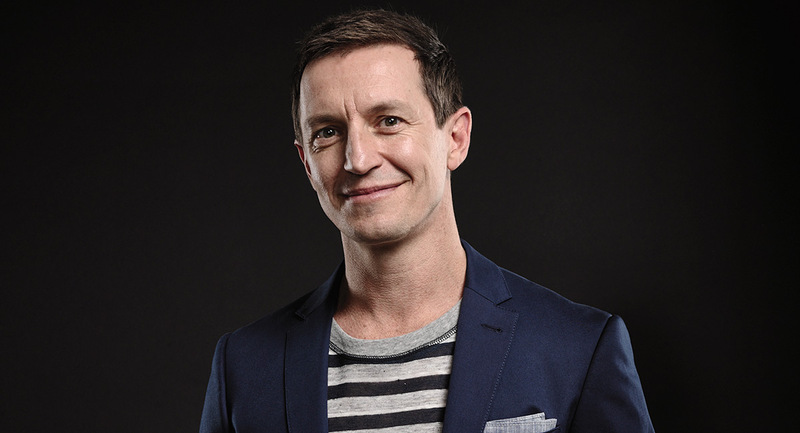 Rove McManus has opinions and he’s “not afraid to share them”, reports News Corp’s Holly Byrnes. 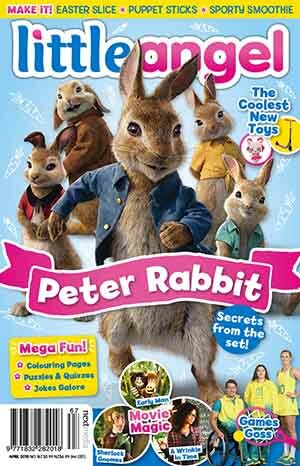 This week, it’s all about his new panel program, Show Me The Movie! – described as the Spicks And Specks for film buffs, and co-starring comic Joel Creasey and Offspring favourite Jane Harber. Being thrown the keys to the new vehicle by the people behind Spicks and Good News Week has been a relief for the TV presenter and producer, whose Roving Enterprises – responsible for The Project and other shows – has kept him busy behind the scenes. “I get asked about it on the street all the time, yet for some reason network programmers aren’t interested. There’s obviously an appetite for it. Self-promoting tobacco mogul Travers “Candyman” Beynon’s hopes of landing a reality TV series in the US have been dealt a blow after the acrimonious collapse of a plan to air a fly-on-the-wall-style documentary on Australian free-to-air TV, reports News Corp’s Vanda Carson. Details of the bid to use a 30-minute documentary as a catalyst “to promote a larger reality television” show to US networks were revealed in Brisbane Supreme Court, where Beynon and three companies that “manage and choreograph” his Candyman brand have sued Vice Australia, which was producing the film to air on SBS channel Viceland. Beynon’s companies on March 2 launched a bid to block Vice from airing footage filmed in December at his exclusive “Freaks Unleashed” party, and want the court to rule that Vice has “engaged in misleading and deceptive conduct under Australian consumer law”. Nine Entertainment and Network Ten could lob a joint bid for Cricket Australia’s next broadcast rights contract and have spoken to Fox Sports about how pay television could be involved in a final deal, report The AFR’s Max Mason and John Stensholt. Bids for the latest cricket deal are due by 5pm Monday and all three broadcasters are keen to secure the sport, but they are also reluctant to see sports rights keep inflating at unsustainable rates. It’s believed a three-way joint bid has been explored and could happen, but it is more likely Nine and Ten bid together and if Fox Sports becomes a part of the deal it will be after Monday. Nine and Fox Sports, which is owned by News Corporation, have had ongoing discussions regarding a joint bid, as revealed by The Australian Financial Review in February.